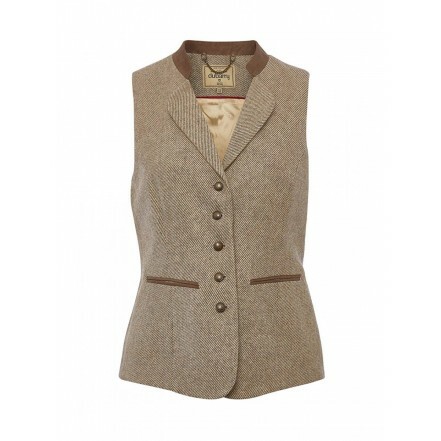 Dubarry&apos;s Spindle tweed waistcoat is ideal as workwear for women, for country style and city style urban fashion. Spindle is versatile and easy to wear; team with knitwear for women or shirts or blouses, for effortless style. Crafted from Teflon coated tweed, Spindle, provides a sleek silhouette and is finished with faux leather trim and unique Dubarry cast metal buttons.